What Is the Best Screening Blood Test for Celiac Disease? Consider a screening blood test for celiac disease if you are concerned that your symptoms or familial risk might suggest you have celiac disease. Or maybe your concern is for a loved one in your life. To check other reasons you might consider getting a celiac screening, see Who Should Undergo the Screening Blood Test for Celiac Disease?. According to the Celiac Disease Foundation, the most sensitive, commonly used screening test for celiac disease measures the amount of the anti-tissue transglutaminase (anti-tTG) antibody, IgA, in the blood. (1) This test is also referred to as tTG-IgA. IgA stands for “immunoglobulin A,” which is one of five classes of antibodies that our immune system produces in response to a perceived threat. The tTG-IgA test is an enzyme-linked immunosorbent assay (ELISA) test. Instead of performing a single screening test, many doctors choose to perform what's called the celiac disease panel, or simply the celiac panel. This panel contains multiple antibody tests. You must be eating gluten when you take the tTG-IgA test! In addition to serving as a screening blood test for celiac disease, the tTG-IgA test is also used to evaluate the effectiveness of the gluten-free diet in people with confirmed celiac disease. Antibodies should decrease with strict adherence to the gluten-free diet. In order for the test to show these antibodies, gluten must be a regular component of your diet. A positive tTG-IgA test does not alone confirm celiac disease. If this celiac screening test is positive, further steps must be taken to either diagnose or rule out celiac disease. Many doctors consider an intestinal biopsy that shows characteristic changes in the small intestinal mucosa the “gold standard” for diagnosing celiac disease. However, celiac disease researcher Alessio Fasano, MD, and others are changing the landscape with respect to this gold standard. In a 2010 paper published in the American Journal of Medicine, Carlo Catassi, MD, MPH, and Alessio Fasano, MD, introduced the controversial “four out of five rule.” If any four of the five criteria for a celiac disease diagnosis are met, then the 5th criteria can be omitted in diagnosing the disease. That 5th criteria can include the intestinal biopsy (which some people refer to as the “celiac disease endoscopy”). For information about this controversy, see Is the Intestinal Biopsy for Diagnosing Celiac Disease Always Necessary?. How Accurate Is the tTG-IgA Screening Blood Test for Celiac Disease? For the tTG-IgA test to be accurate, the person being tested must be consuming a gluten-containing diet. When eating gluten, the vast majority of people with celiac disease have higher than normal levels of these antibodies in their blood. These antibodies are more precisely called “autoantibodies” within the context of autoimmunity. According to the Celiac Disease Foundation, the tTG-IgA test will be positive in about 98% of people with celiac disease who eat gluten. This test will be negative in about 95% of people without celiac disease. No blood test is 100% perfect, but the tTG-IgA test's sensitivity (risk of false negative results) and its specificity (risk of false positive results) are considered the best compared to other antibody tests for celiac disease. The risk for false positives with the tTG-IgA test is especially high in people who have associated autoimmune diseases such as type 1 diabetes mellitus, Hashimoto's thyroiditis, and rheumatoid arthritis. A false negative can occur, for example, in people who have a milder case of celiac disease. For the most accurate blood test results, your doctor can run the more complete celiac panel. Both the American College of Gastroenterology (ACG) and the American Gastroenterological Association (AGA) state that the tTG-IgA test is the single preferred blood test for celiac disease screening purposes in people over 2 years of age. According to the ACG's Clinical Guidelines on the Diagnosis and Management of Celiac Disease, when children younger than 2 years of age are screened for celiac disease, the tTG-IgA test should be combined with the deaminated gliadin peptide (DGP), IgA and IgG, blood tests. IgG (or “immunoglobulin G”) is also one of the five classes of antibodies that our immune system produces. Who Should Undergo the Screening Blood Test for Celiac Disease? If you have signs and symptoms that suggest celiac disease, your doctor can order the tTG-IgA celiac screening test or the more extensive celiac panel. At this time, screening for celiac disease is not recommended for the general population. However, according to the AGA, screening should be considered in high-risk populations, especially in people who are symptomatic. For more information about celiac disease and these high-risk populations, read the AGA Institute's Medical Position Statement on the Diagnosis and Management of Celiac Disease. 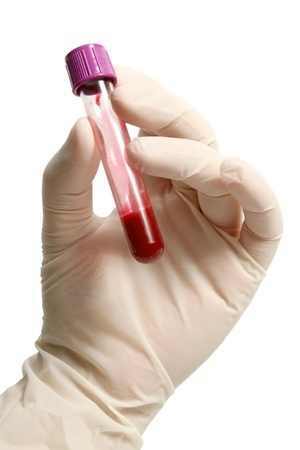 CeliacFAQ.com home page > Celiac Disease FAQ > What Is the Best Screening Blood Test for Celiac Disease?